WHERE TO FIND A TAXI SERVICE NEAR FAIRFAX COUNTY, VA? Think Springfield Yellow Cab, the nearest taxicab provider close to Fairfax for over 40 years. Whether it’s a regular cab service or a wheelchair accessible taxi - Springfield Yellow Cab is who you call! The freshest insights, thoughts and great observations to make your ride with Springfield Yellow Cab near me even better than you thought it'd be. WHY USE YELLOW CAB NEAR SPRINGFIELD? 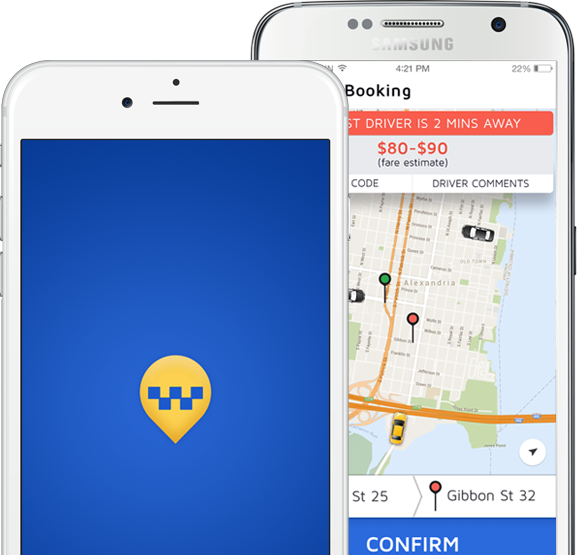 Springfield Yellow Cab will have an app in the near future! WHAT DO SPRINGFIELD YELLOW CAB CUSTOMERS SAY?
" I use Springfield Yellow Cab regularly to get to Reagan Airport as I travel frequently for business and do not want to leave my car parked in the airport lot. I use them all the time and find the service to be consistent and reliable. " " On time for pick up and received a call to ensure driver arrived. " " Uneventful, Just like I like it. Arrived on time. Got me to where I needed to go without delay. I will use them again. "